Yes, historians believe that George and Martha struggled with infertility – and suspect it was George’s issue. To review our history, George and Martha Washington were wed in 1759. Martha was a widow and had borne four children with her first husband, only two of whom survived past infancy. George adopted both children but, sadly, Patsy died from epilepsy at the age of 16 and John died of malaria at 28. Records indicate that George and Martha had a close, happy, and intimate relationship. Because his wife had successfully conceived and delivered four children, and there are no records suggesting that she had illnesses or traumas that could pre-dispose her to infertility, it is believed that it was George who was the infertile partner in the relationship. His writings suggest that he had desired to have children. While it would be easy to leave George alone and say it was an unknown cause, historians have applied each of the 4 causes to what we know about George and they think they have found the answer. Some genetic disorders that are associated with low testosterone could account for his tall height (6 ft 3 in) and his poor teeth. But George was reportedly very strong and muscular, athletic and energetic, with strong bones (except for his teeth). So they do not think he had low testosterone levels caused by inherited conditions or glandular problems. Environmental exposure was a possible cause because in his twenties George treated repeated episodes of diarrhea and abdominal pain with a mercury-containing medication that can temporarily lower sperm count. But by the time he met and married his wife, George had recovered from this condition. Infections and diseases that could affect the testicles were common back in George’s day. It is recorded that he had mumps when he was 9 years old but that doesn’t usually affect sperm production unless you get mumps during puberty. They don’t suspect he had sexually transmitted infections, which can block the passage of sperm, because of his moral character and his close, intimate relationship with Martha. No record of his having diabetes, cystic fibrosis, spinal cord injuries, or nerve damage that can affect fertility have been uncovered. But he may not have escaped from the one disease that historians believe actually caused his infertility: tuberculosis. George reportedly was very close to his younger brother, Lawrence, who died from the disease. Many people suffered and died from tuberculous in George’s day, and the untreated disease could spread throughout the body, including into the testicles in approximately 20 per cent of cases. This is what some believe was the cause of George Washington’s infertility. 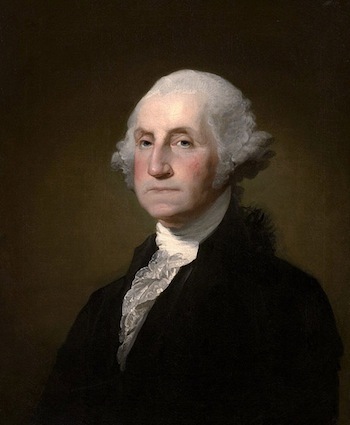 So much progress has been made in medicine that today we are able to effectively diagnose and treat the many diseases and conditions that led to male infertility in George Washington’s day. I’m confident that, in the years ahead, we will be able to identify and remove the unknown factors that cause 40 to 50% of male infertility today. Amory JK. George Washington’s infertility: why was the father of our country never a father? Fertil Steril 2004;81:495–9.©2004 by American Society for Reproductive Medicine. Swerdloff RS, Wang C. Causes of male infertility. UpToDate. Accessed 2 June 2015.